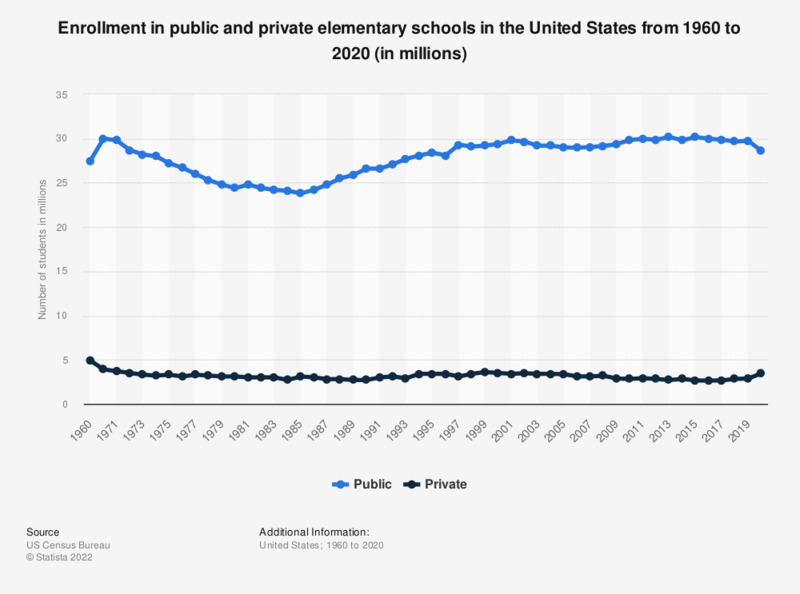 This graph shows the enrollment for public and private elementary schools in the United States from 1960 to 2017. About 2.66 million students were enrolled in private elementary schools in 2017. Did school contribute to develop your personality, your sense of responsibility?